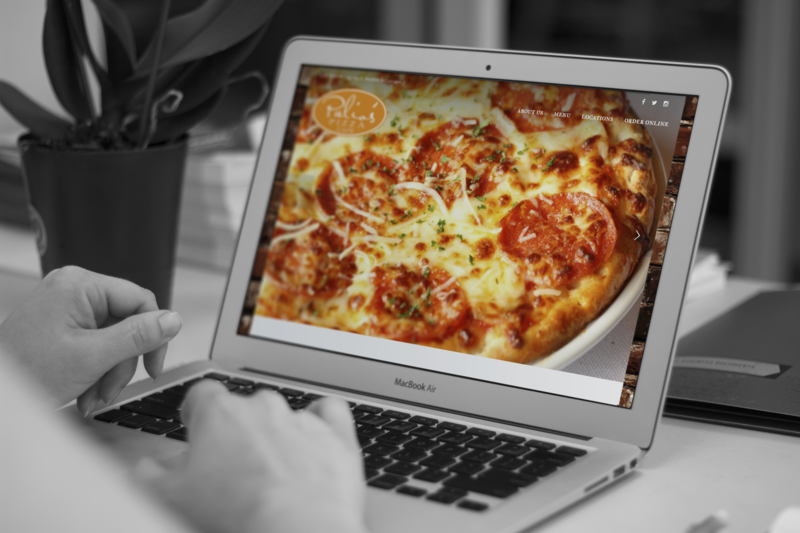 When Palio’s Pizza Cafe of Mansfield and Fort Worth came to TIK:TALK, they were in need of an updated website and a complete rebranding to get all of their marketing on the same page. 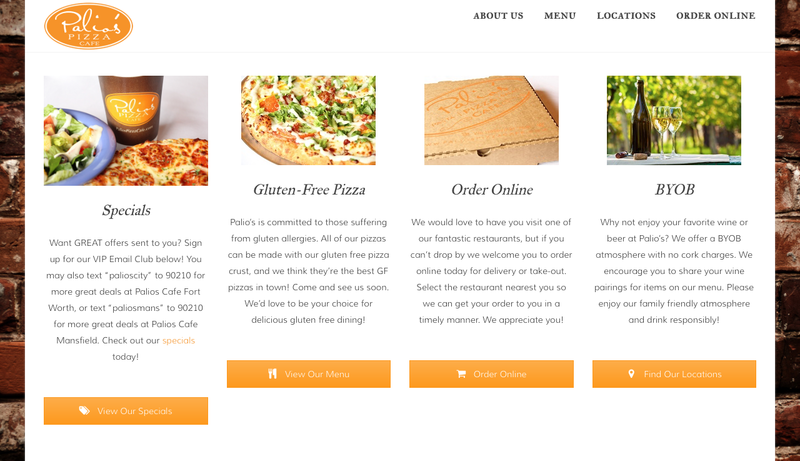 They wanted to focus on making pizza and let us handle their marketing. 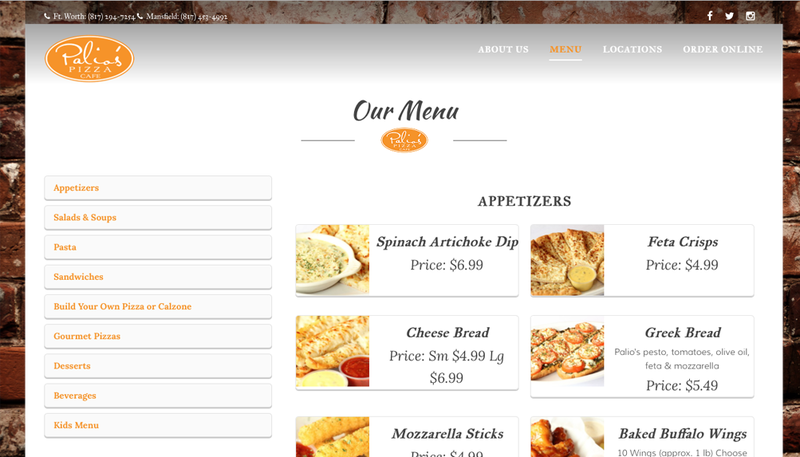 Palio’s loved the site once they saw the final product. 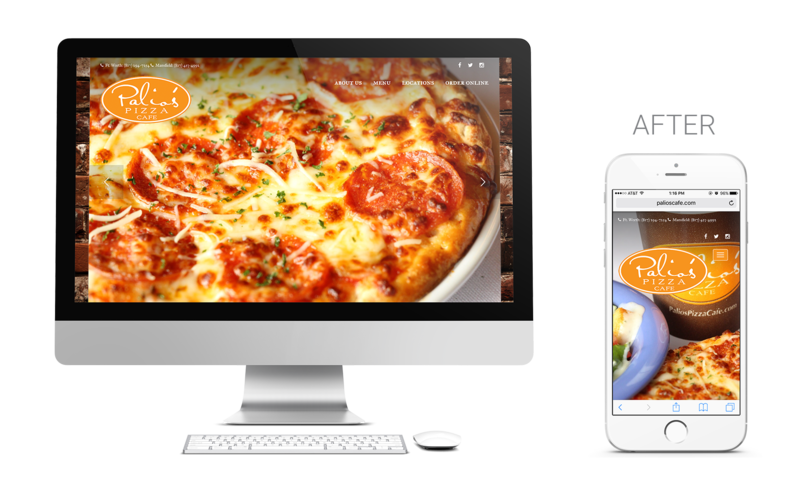 In order to publish the site, we first had to work on all the branding, which built a great relationship with the owners. 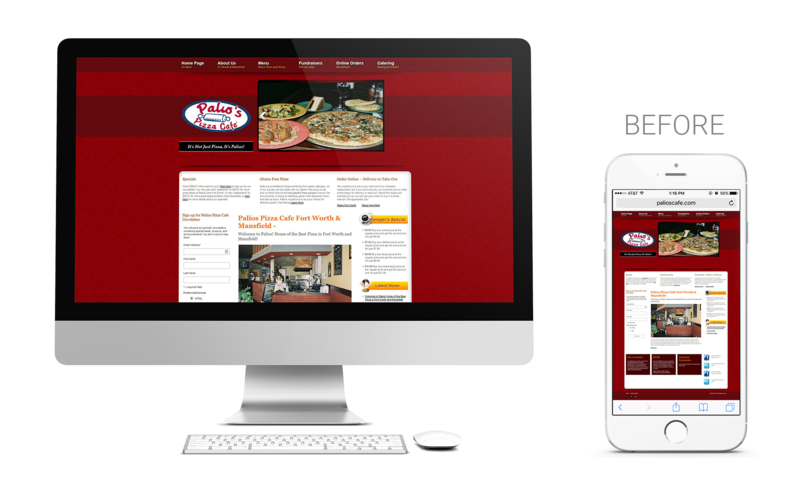 Palio’s continues to engage TIK:TALK for all of their marketing needs, and we use the website as the backbone for the social media and email marketing campaigns that we handle for them.